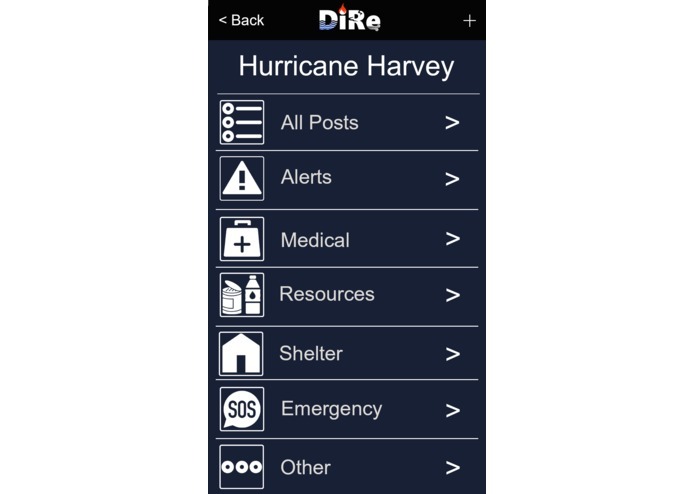 The inspiration was other people being able to help other people in disaster areas. 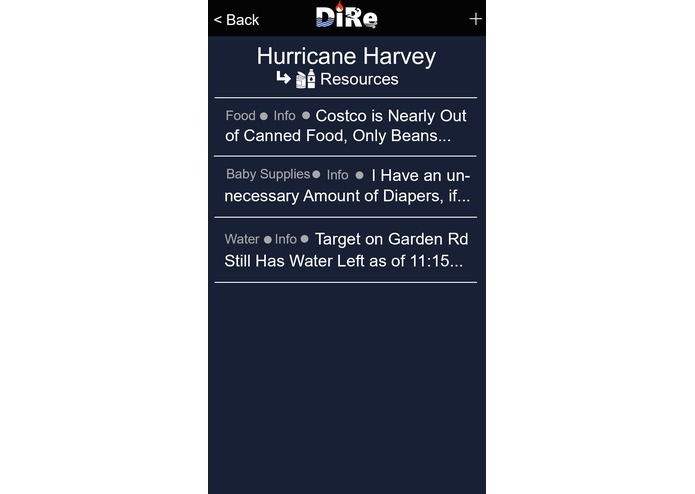 DiRe is a social network built around people helping other people. 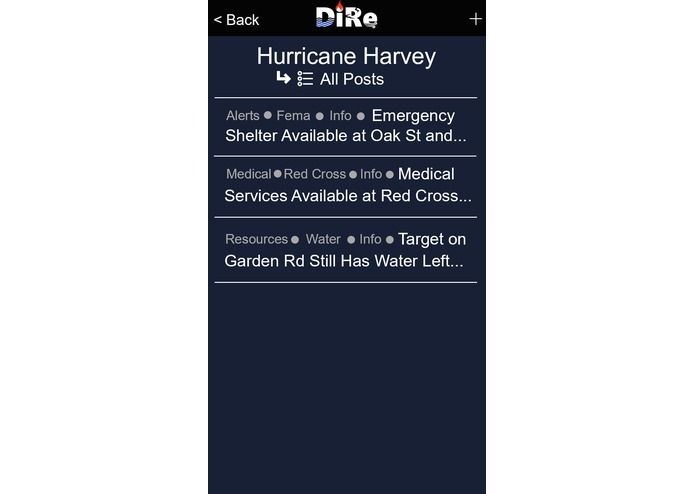 DiRe provides a platform for people to post about things they have, info they have, or things they need, in a specific natural disaster area. The UI designed and partially implemented describes a website that we would be proud to complete. Every non-working link links to Rick Astley on YouTube. 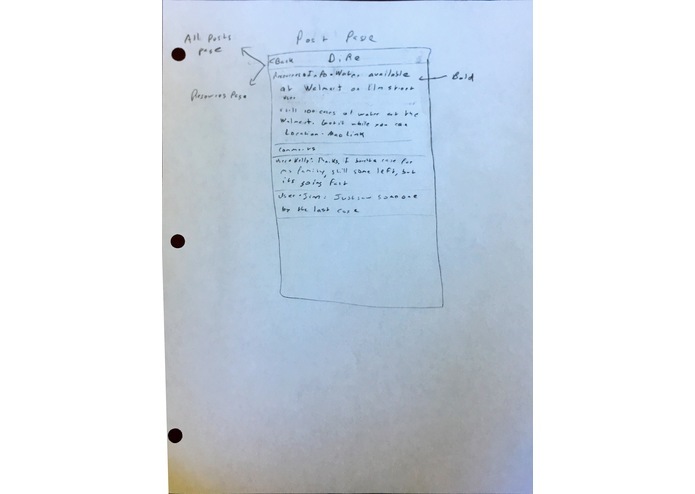 We learned that building an entire social media website takes a lot more time and experience than we had available to us. We plan to continue working on the project as we learn more in order to get a fully working project.